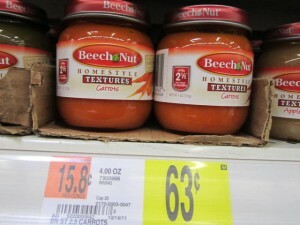 Beech-Nut Baby Food only $0.36 per Jar w/ Coupon! Coupons.com just put out a great Beech-Nut baby food coupon that you can use at Walmart to get a great deal! = $1.42, or $0.36 each! Thanks, A Thrifty Mom for deal and photo!